After trailing in the polls by a wide margin for the first two weeks of the campaign, Alberta's Progressive Conservatives appear to have closed the gap with Danielle Smith's Wildrose Party. A new survey from Léger Marketing for the Calgary Herald and Edmonton Journal indicates that Wildrose has the support of 36 per cent of Albertans, compared to 34 per cent for the governing Tories. That is a drop of five points for Wildrose since Léger's last poll taken before the Easter weekend, reducing the margin between them and the PCs to two points from seven. The New Democrats and Liberals have each made modest gains and are tied for third with 13 per cent support apiece. But the movement between parties is somewhat counter-intuitive. The Tories have held firm while Wildrose's support has leaked to the Liberals and NDP, bypassing the PCs entirely. That is quite a leap from the right-wing, libertarian Wildrose to the centre-left Liberals or the left-wing NDP. Are some voters who oppose the Tories switching from Wildrose back to the province's traditional opposition parties? 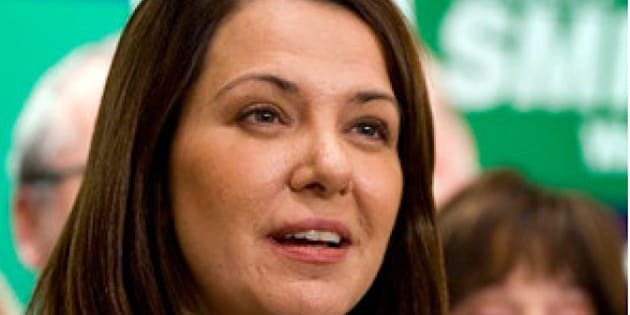 Or are Liberal and NDP supporters who threw their weight behind the Tories to stop Danielle Smith returning to the fold as more centre-right Albertans turn back to the PCs after flirting with Wildrose? Whatever the reason, the race is getting heated outside of the two main cities, where each party has its base of support. The Progressive Conservatives are strong in Edmonton, the provincial capital, while Wildrose is dominant in Calgary. In the rest of the province, Léger suggests the wide margin between the two conservative parties has narrowed significantly. In the rural parts of the province which have traditionally been the PC heartland, it appears voters split on what kind of conservatism they want to see in government. Though the question of leadership is paramount (and Danielle Smith and Alison Redford are neck-and-neck on that score), how voters are reacting to the policies being put out by the rival campaigns is also a major factor. Roughly two-thirds of Albertans support the Tory plan to invest in new health-care clinics and schools, while a plurality (46 per cent to 43 per cent) oppose Wildrose's plan to pay energy dividends to each resident of the province. Though Wildrose supporters love the idea, it could be a potential limit on the party's growth. The province has seen something like it before under Ralph Klein, and while the idea has popular appeal, it is not the kind of policy that meets the approval of economists. Albertans who want smaller government are likely going to vote Wildrose anyway, while the plan may turn off those who feel the province can do more with the pooled funds than individuals can do with a few hundred dollars. But this is only the first poll since the campaign began to show a tight race between Wildrose and the Progressive Conservatives. Did Wildrose peak too soon, or is this survey just a flash in the pan for the Tories? With the campaign potentially tightening up, the debate scheduled for Thursday becomes all the more important. For the first time in decades, the result of an election in Alberta is far from certain.